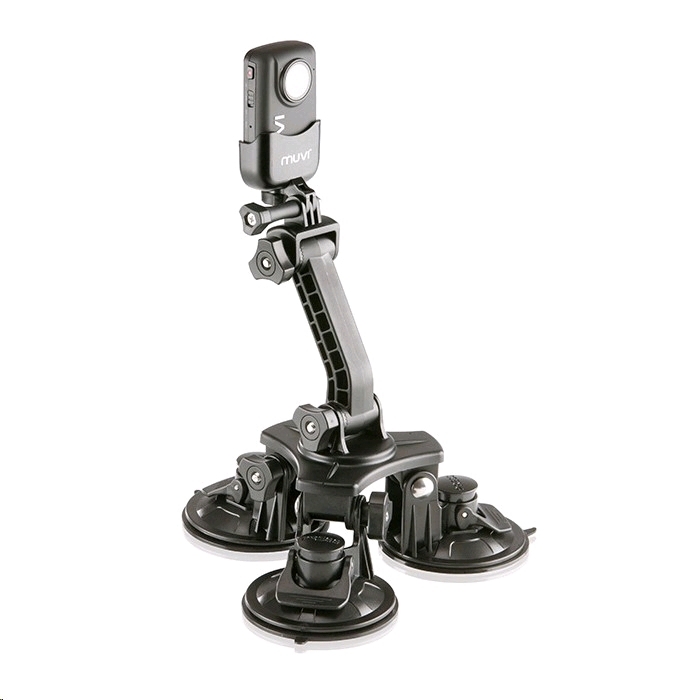 The MUVI™ Universal Professional Triple Cup Suction Mount. 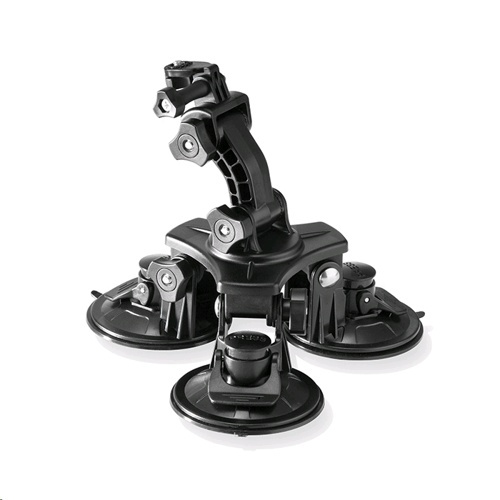 The MUVI™ universal triple cup suction mount is designed for professional and prosumer use on all flat surfaces that might be moving at high speeds such as vehicles, boats or aircraft. Each suction cup is fitted with its own suction lock and quick release mechanism and has an adjustable design so it can be mounted at different angles to fit many different scenarios or mounting options. 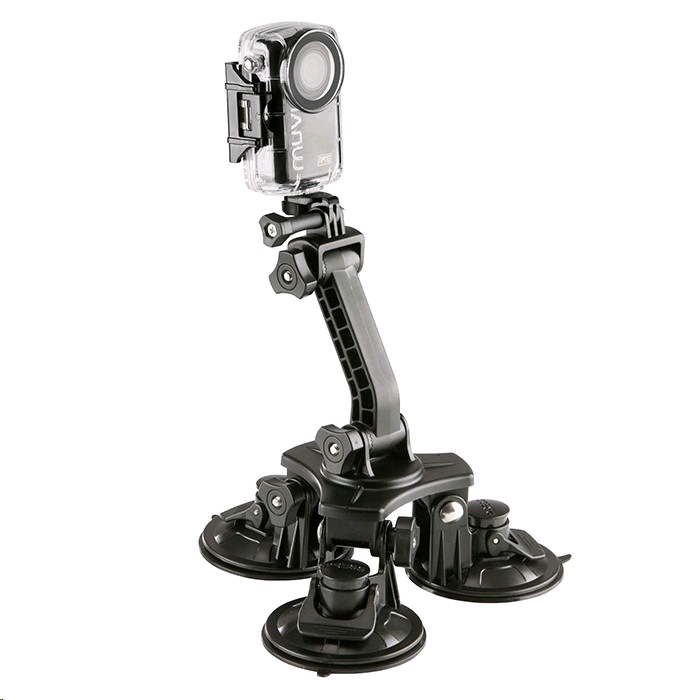 This mount ships with 2 sized adjustable arms for mounting your MUVI™, action cam or camera. 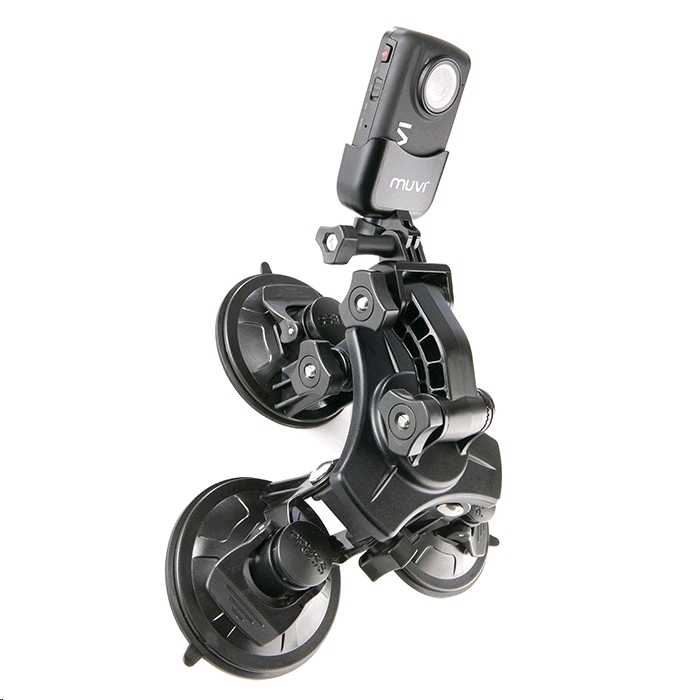 The small arm measures 9cm (3inches) and the larger arm 12cm (5 inches) and both allow swivel head connection to the MUVI™ cradle or a universal tripod mount.